Reclining Bath Chair With Safety Harness, Large To 180 Lb. Reclining Bath Chair With Safety Harness, Medium, To 130 Lb. 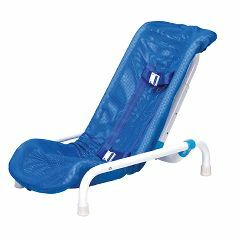 Reclining Bath Chair With Safety Harness, Small To 100 Lb.